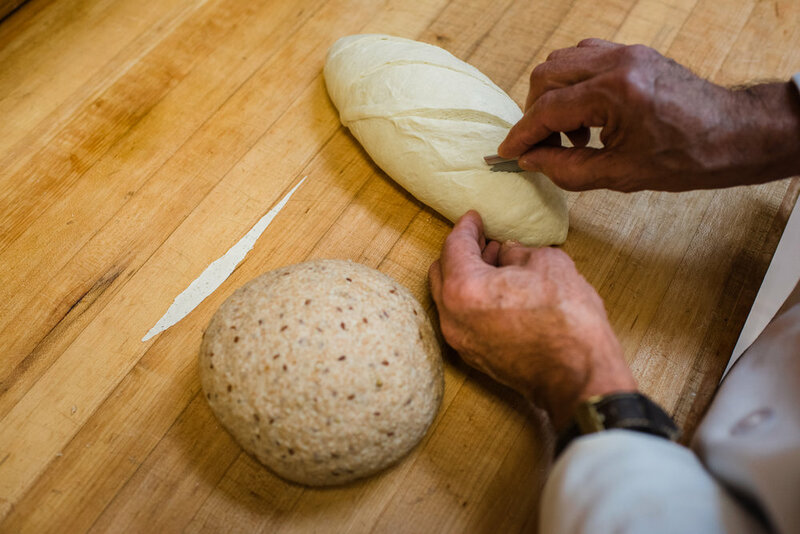 At the Whole Earth Center, we take great pride in our whole-grain bakery. 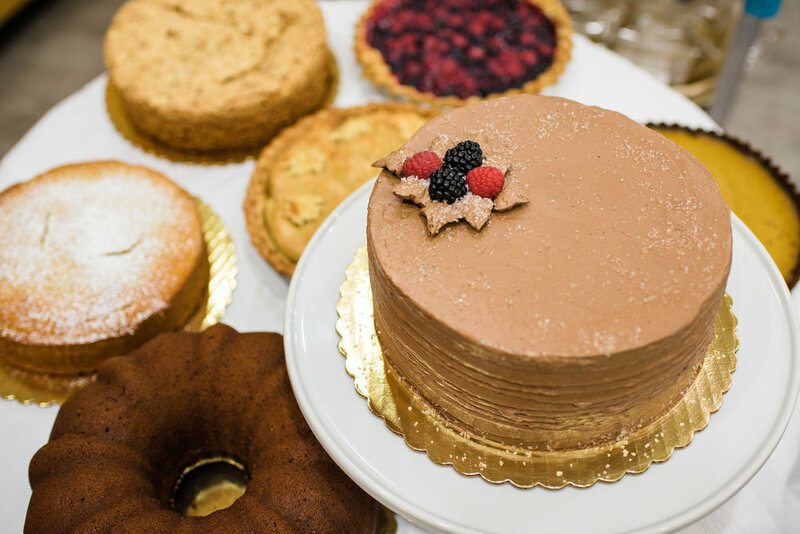 Our skilled team of bakers are masters in the art of whole-grain and gluten-free baking. 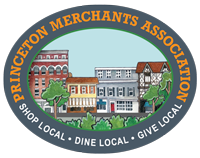 Every day they create an amazing array of high-quality breads, cakes, muffins, cookies, and pies. Keep an eye on our Facebook page for special seasonal and holiday baked goods. Many in-store bakeries use commercial mixes for their cakes and pre-made dough for their breads. Not at Whole Earth! Our breads, muffins, cakes, and other baked goods are made from scratch in our store and baked fresh every day of the week. Take a look at our bakery list to see the wide range of items we offer. Our bakers create unique handmade baked goods — made almost exclusively from the highest quality organic ingredients, including organic butter, organic vanilla, organic flours, and organic fruit. The only sweeteners we use in our baked goods are agave, local honey, maple syrup, barley malt, organic sugar, and molasses. The Whole Earth Center Bakery offers a growing selection of gluten-free and vegan baked goods — including breads, cakes, and cookies. We even offer vegan holiday treats, such as pumpkin and pecan pie. Our bakery also takes orders for special occasion cakes made with the finest quality organic ingredients. Please note: our bakery is not a gluten-free facility.